Natural disasters are, well, disastrous to everyone affected by it. Yet as nature had proven, every disaster is an opportunity for growth. One such story of bustling life after a disaster had struck, is Lake Travis’ history. The lands that surround the winding waters of Lake Travis is rich. Enough to have people set up farms despite a terrible setback: flooding. This humble area of in the city of Austin, Texas was somewhat prone to immense flooding. The flooding occurs when lake water levels rise up, swallowing the surrounding land. There’s extreme potential in the lands around the lake if it wasn’t for the yearly floods. 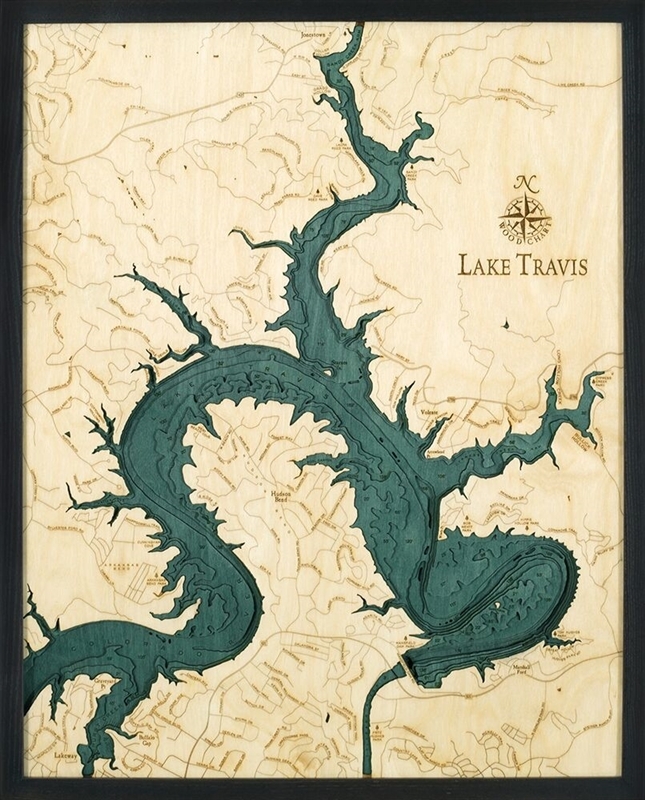 https://www.carvedlakeart.com/san-diego-wood-nautical-chart-map-p/sdgo-d3l.htm Check out carvedlakeart if you want the best deals on laser cut map, wood nautical chart in Lake Travis, wood topographical map, and charts of the lakes, streams and oceans of the world. You could say that the people of Lake Travis had enough. In 1935, a torrential summer rain brought about high floods that devastated the areas of Austin. To preserve their ways of living and pursue greater dreams, the denizens of Lake Travis banded together and formed a committee to solve the flood problems. In December 1936, the Lower Colorado River Authority was born. Authorized by the United States Department of the Interior, this group was given the task of preventing further floods from wiping the surrounding lands. Their first course of action was to create a dam to have increased water supply. They decided on a low dam first, since it would be quick to build, and enough to suppress small floods and be a flood control mechanism. The dam was built at the Marshall Ford area and went as high as 190 feet. It was then named the Marshall Ford Dam, aptly because of the location. Two years later, the dam met its match. A huge flood rose and spilled through the dam during a downpour in July. The Lower Colorado River Authority banded together once more and decided to raise the dam. From around 190 feet, it was raised to 265 feet to counter the previous flood height, and more, should the skies decide to test them. On August 25, 1942, it was renamed to Mansfield Dam. This was in honor of Joseph Jefferson Mansfield, a United States Representative. J.J Mansfield worked for two years to ensure that the dam is getting what it needs to be built. Thanks to the dam, the people that make their homes and living around Lake Travis find themselves worrying less about the floods and more about how they can make the most out of their lives and livelihood. With the floods less of an issue, the lake now provides a source of income for all people. Its calm waters make for great boating opportunities. The depth and expanse of the lake are also ideal for scuba diving, swimming, fishing, and even more exciting water activities such as wakeboarding. Presently, there is a power plant situated on the dam. This hydroelectric power plant generates 108 megawatts. That amount is enough to power more than 30,000 homes. Not only does the dam prevent floods, it also powers homes and business. What started as a land that suffers yearly from floods, now has a dam that generates power for its people, and rich resources to make a more-than-decent living. Now, this humble abode in the city of Austin, Texas is a has a great flood control mechanism that makes it a rich water supply source and a great place to stay.